Love it here submitted by Michael M. - Jun 17, 2018 |Recommended: YesI love living here. The staff is awesome, the size of my home for the price, I can't beat it With the market growing in the downtown area, I am very fortunate to have my place, my home, at Refugio Place. Love the leasing professionals Cara, Angelina, Genine, and Diane. The maintenance team Andres, Edgar, Rico, and groundskeeper all do exceptionall service. Thank you all for the 3 years and look forward to many years to come. I think its a great property.submitted by Rudy E. - May 31, 2018 |Recommended: NoAccess to downtown events and nightlife. I just hate the noise from the train at all hours of the night. Wonderful apartments, staff and neighbors.submitted by Samantha V. - Apr 09, 2018 |Recommended: YesI would highly recommend to anyone in search of they're next home to consider Refugio Place first. I truly feel safe, comfortable and cared for. Also, Refugio Place has an amazing office staff that stays on top of everything and even goes out of their way to throw events to bring residents together. Wonderful place to livesubmitted by Claire L. - Apr 05, 2018 |Recommended: YesQuiet neighbours and any maintenance issues are handled quickly and efficiently. Love the office staff, a joy to talk to them. Great location, poor facilities submitted by Olivia G. - Jan 07, 2018 |Recommended: NoThe best thing about Refugio is simply the location. The actual interior of apartments is also nice and relatively large. However, it's absurd that the property has still not locked the parking gate. It is not okay that mail is being delivered to a third site because the boxes here are not secure. And, a lot more upkeep should be kept. Stairs are always dirty, doors should be repainted. The property itself needs some TLC. For what I pay, I expect to receive a lot more. response from property - Jan 15, 2018 Hi Olivia, we appreciate your review and we are working towards correcting the issues you listed above. Very nicesubmitted by Alicia P. - Jan 04, 2018 |Recommended: YesThe gates don't work so parking in the gates is usually taken up by people who don't even have a pass and it's frustrating to find parking around the area. But staff is friendly and maintainence is professional. Just hate parking my car outside the gates because it got broken into one time. response from property - Jan 11, 2018 Alicia, we appreciate your review and will work on correcting the issue you bring up. We wish to continue providing outstanding customer service to all our guests and residents. We hope you have a wonderful day! Overallsubmitted by Christina - Aug 13, 2017 |Recommended: YesThe location is great but is lacking a pool. The interior of the apartments are cozy, absolutely love it. As for the staff one named Kourtney was very rude and not at all very friendly towards me. I would most likely not be going to her for any questions or help. Greatsubmitted by William M. - Jul 30, 2017 |Recommended: YesIt is a good apartment complex. Can be a little loud, but good quality of apartments and service. Desperately Seeking Parkingsubmitted by Adriana I. 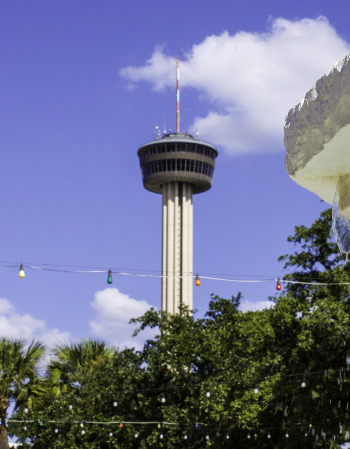 - Jul 05, 2017 |Recommended: YesMake sure to always check if your parking garage remote works especially when there is an event Usually the roads are blocked off and every one parks by the apts for events at the Alamodome. I paid for the parking garage but my remote was always on the fritz. I like that it's quiet and the apartments are cozy submitted by Eduardo S. - Feb 05, 2017 |Recommended: YesLiving here won't be anything fancy but it won't be mediocre either. The outside of the apartments may look old especially with those Vista apts next door but the inside is well kept and taken care of. I especially love the double doors to the balcony. You can open them in a fresh day to let some cool air in. The apartments are very cozy. Enough to have good furniture in but not so big that you feel you have weird open spaces. The bathrooms are spacious. I've had bad experiences with my maintenance requests, some taking up to a month to solve but I can't say if that's the case with everybody. This works for me because work is here downtown and I will definitely keep living here.